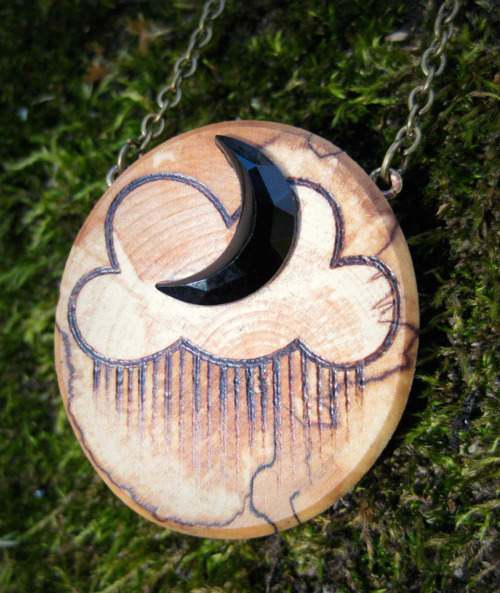 Daina Scarola, Ocean Art Studio: OhMyAmpersand Goes East! I'm such a huge fan of my sister's jewellery, I asked her if I could bring some back to Nova Scotia and represent her work at the Seaport Market. She liked my idea and hopped on board! I'm thrilled to announce that OhMyAmpersand's necklaces and brooches are available at my Halifax Seaport Market booth, and will also be available in Seaforth on the evening of February 11th at the Sunset Twilight Valentine's Market from 5pm-8pm. 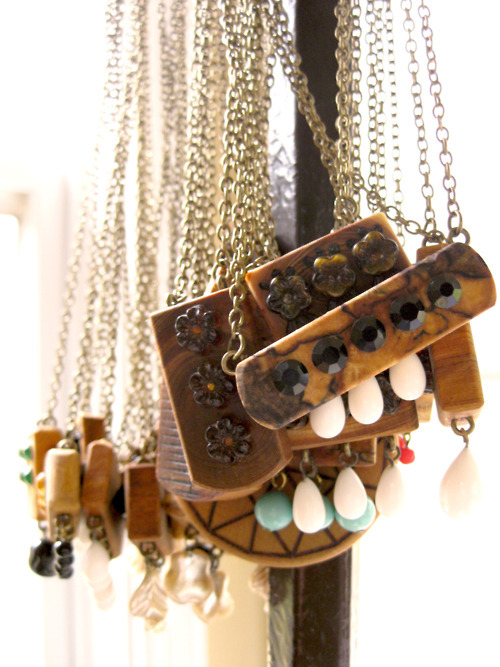 Each piece is hand-crafted using local wood, woodburned, and bejewelled with vintage glass beads. 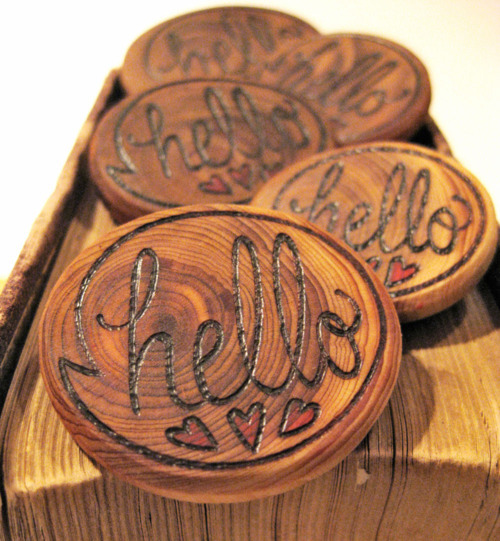 You can find OhMyAmpersand on Twitter and soon her Etsy Shop will reopen with new work. 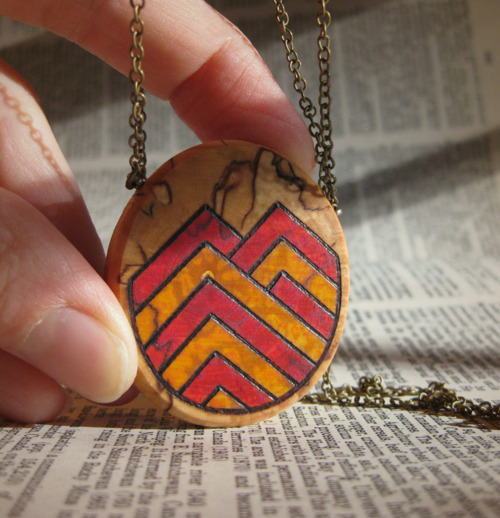 Necklace by OhMyAmpersand. 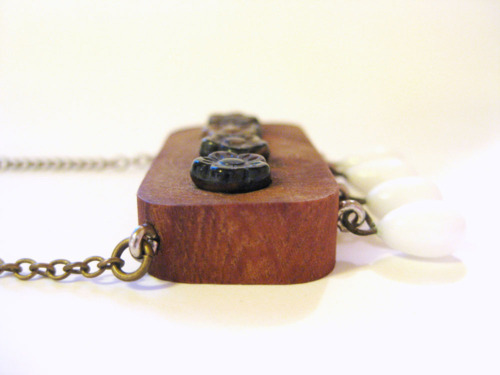 Vintage white glass pear shape drops and brown flower button beads. This IS Exciting! Great travellers ~ they could find homes in all corners of the World! Best Wishes to both of you!